With over four million copies sold, this is the ultimate annual for every gaming fan! Bursting with the latest facts and stats on your favorite games, the Guinness World Records Gamer’s Edition 2017 is brighter and better than ever. As Star Wars mania explodes once again, we explore everything sci-fi in a special section devoted to your favorite futuristic games. Plus, you’ll get a sneak peek at all new games from the ever-evolving gaming universe! 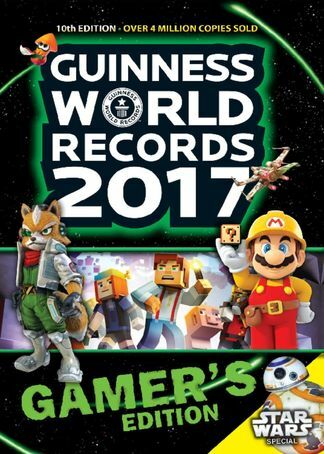 Be the first person to tell us what you think about Guinness World Records 2017 Gamer&apos;s Edition and you'll save $5 on your next purchase! 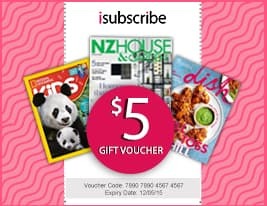 https://www.isubscribe.co.nz/guinness-world-records-2017-gamers-edition-digital-subscription.cfm 15982 Guinness World Records 2017 Gamer&apos;s Edition https://www.isubscribe.co.nz/images/covers/nz/541/15982/square/GuinnessWorldRecordsGamersEdit2411201682824.jpg NZD InStock /Digital/Entertainment/Gaming With over four million copies sold, this is the ultimate annual for every gaming fan!